The John Deere Classic has the unfortunate place on the PGA Tour schedule of being the week before the Open Championship - 6 time zones away. Many top golfers keep it off their schedule as the course style is nothing like the links courses played at the British Open. This week will be a tournament full of players looking to gain valuable FedEx Cup points with the winner of the John Deere guaranteeing himself a spot into the Open if they haven't already qualified. You can still make money playing fantasy golf this week - Just click the graphic below and get into a FREE Fantasy Golf Contest this week when you make your first deposit to our affiliate partner DraftKings! 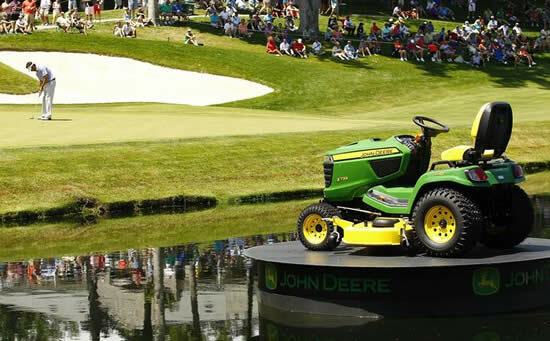 The John Deere Classic returns to it's usual spot on the PGA Tour schedule being held the week before the Open Championship. As mentioned above, the winner, if not aleady qualified gets to hop on a plane to head to Carnoustie in Scotland. There will be a few known names in the field and there have been in the past top players like Jordan Spieth and Zach Johnson that have kept it on their schedule. 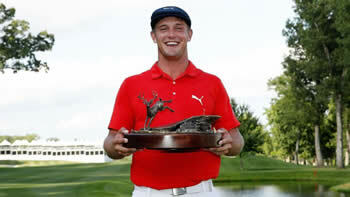 This year defending champion Bryson Dechambeau will help highlight the field for the John Deere Classic. This is also a reminder to get your entries in to next week's Fantasy Golf Millionaire contest. $1 Million to the winner, this is the biggest contest for fantasy golf and sells out early so at least reserve your entry to make sure you're in. As we mentioned above, this is a tough event to pick players at unless you have a good knowledge of golfers that aren’t ranked in the top 100. It may be a good week to try out another fantasy site for golf if you are only playing at DraftKings - FantasyDraft. They offer all the major sports but most notably golf. Now's a great time to try out something new before next week's Fantasy Golf Millionaire Contest. Weak golf fields mean that you need to know more about players that you normally wouldn’t consider for your fantasy golf lineup. You can spend countless hours looking up each player or you can use the guys at Golfstats.com who have already done the research and wrap it up into a nice easy list. They have been HOT all year and have picked a few outright winnners so they have been well worth the investment in their expert golf picks.